The University of Victoria, on behalf of The Malahat Review, is pleased to announce that this year’s recipient of the P. K. Page Founders' Award for Poetry is Bruce Rice for his poem "Into the Wind," which appeared in The Malahat Review’s Summer 2013 issue (#183). Rice's poem was chosen for this award by Anne Simpson. Of Rice's poem, Simpson says: "'Into the Wind' is a plainly spoken poem, yet it has the largeness of the land. This is implicit in its long lines, moving―even meandering―across the page. It allows us to hear that 'frail silence' between brothers, between the living and the dead, in this deeply meditative elegy." Bruce Rice grew up in Prince Albert, Saskatchewan, and later moved to the Maritimes, where he attended St. Thomas and Dalhousie universities, and did community development in Halifax-Dartmouth. His fifth poetry collection for adults, The Trouble With Beauty, will be published in April 2014 by Coteau. 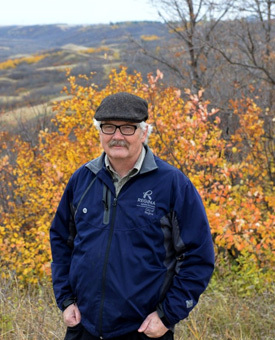 His first book, Daniel, received the Canadian Authors Association Award, and his collection, Life in the Canopy (Hagios Press), was nominated for Saskatchewan Book of the Year in 2009. He recently published his first children’s book, Dorothy McMoogle With Kumquat and Bugle (Wild Sage). In addition to writing for the page, he has frequently participated in poetry performances and interdisciplinary collaborations. Bruce and his wife, Joanne, live in Regina and have two grown children, Keegan and Mira. Anne Simpson is a writer of fiction, poetry and nonfiction. She has won a number of awards for her poetry, among them the Griffin Poetry Prize for Loop. As well as her four books of poetry, she has written two novels: Falling, longlisted for the International IMPAC Dublin Literary Award; and Canterbury Beach. Her book of essays, The Marram Grass: Poetry and Otherness, delves into issues of poetry, art, and empathy. She has been a writer-in-residence at libraries and universities across Canada, and was invited, recently, to do a short residency with the Osu Children’s Library in Ghana. In the Fall of 2013, she was the Mabel Pugh Taylor Writer-in-Residence at McMaster University and the Hamilton Public Library. Read a interview with Bruce Rice on his Founders' Award win.